EAST CLEVELAND, Ohio — An East Cleveland neighborhood is filled with fear, after a home on East 125th Street was hit by three arson fires, two of the fires just 48 days apart. The home is now just a charred skeleton and neighbors believe it could collapse at anytime, jeopardizing the safety of residents and school children who walk by the home nearly everyday. Scott Williams told News 5 the third arson fire nearly destroyed his family home next door, melting the siding and flashing on his house. 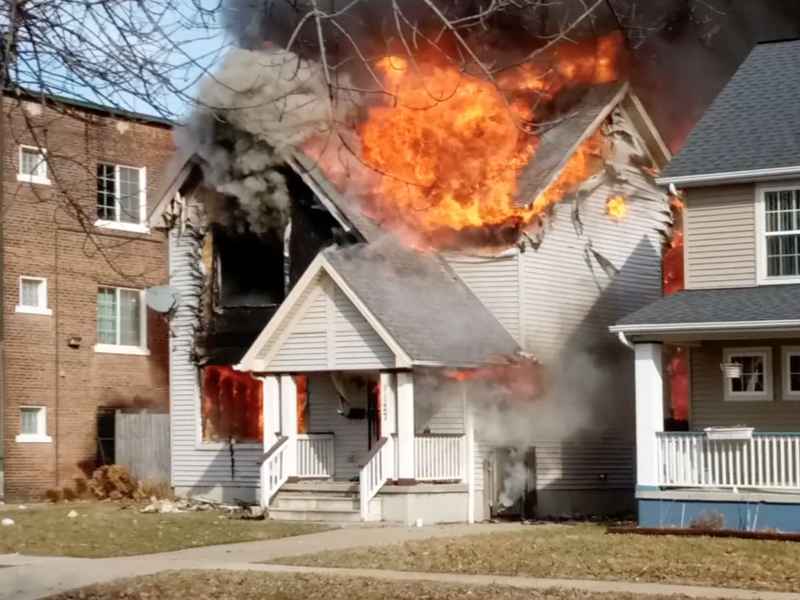 Williams credited the East Cleveland Fire Department with exceptional response time on all three fires, but said the home must be demolished as soon as possible because it's been a wide-open hazard for several months. "This is a tragedy, fortunately no one was hurt," Williams said. "It could easily fall on somebody walking by. It's right next to a multi-unit apartment building, families live there, kids go up and down the street going to school." WIlliams said his family contacted East Cleveland City Hall and were told the house is now at the top of the demolition list. East Cleveland Fire Chief Mike Celiga told News 5 an increasing number of arson fires have his department working on expanding its arson task force with additional personnel and training. Celiga said investigator combed through the charred rumble of the home and brought in arson dogs from Lake County in the search for clues. He's now hoping residents will call his fire department at 216-681-2410 with information that will lead to an arrest in the case. News 5 also contacted the Cuyahoga Land Bank to see if it could help with the demolition process, a process Williams said can't come soon enough. "Hopefully they can get it done sooner that later," Willams said. "I mean, the threat is now."